Vegan cake flavor vanilla with buttercream icing. 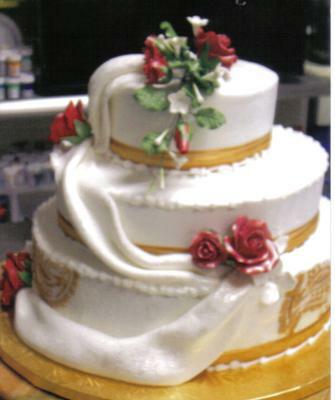 Decorated with fondant drapes and red gum paste roses. Cake has henna designs on the side and top of cake.